Our client, a major global insurer, has a fantastic opportunity for a talented individual to take up this leadership position where you will manage and lead the Motor line of business, assisting the development of appropriate underwriting and pricing decisions. In this key and highly visible role, you will set the pricing strategy for the line of business, including leading innovation in terms of data enrichment, analytics and rate deployment techniques. With previous extensive management experience, the successful candidate will possess excellent leadership, interpersonal and influencing skills. 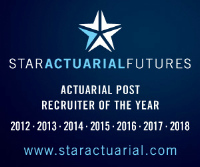 Applications from qualified actuaries will be welcomed. Contact us now for more information regarding this unique career opportunity.